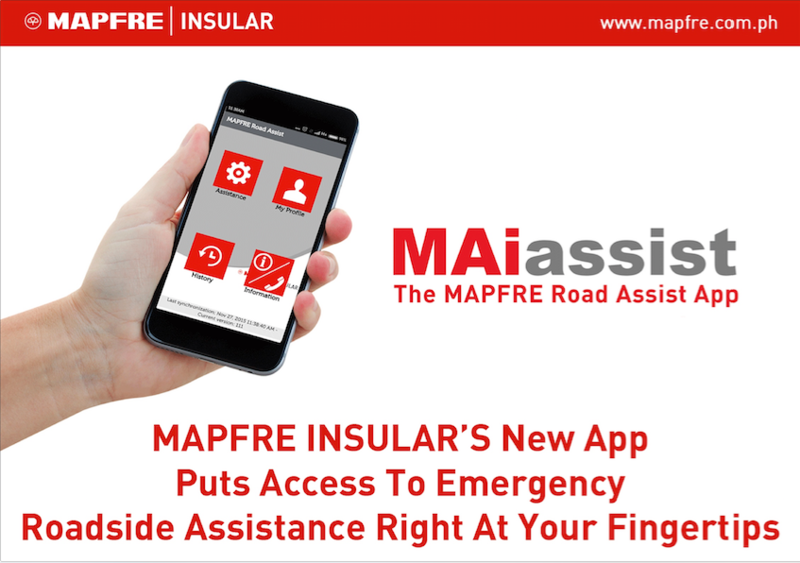 MAiassist, the MAPFRE Road Assist App is a mobile application that provides MAPFRE policy holders with easy and convenient access to roadside assistance services. Through MAiassist, a policy holder may immediately report any unfortunate roadside incident involving the insured vehicle, such as mechanical or electrical breakdown, collision, theft or flat tire to MAPFRE’S 24/7 Assistance Service Center. Following the report of the incident, the policy holder will receive regular SMS updates on the location of the tow truck that was assigned by MAPFRE to assist. In case of emergencies, MAiassist has an automatic call button that connects the policy holder directly to MAPFRE’S emergency roadside assistance hotline. Should you need assistance in downloading the App in your mobile, you may get in touch with Aggy Reynado, at 876-43-74, or you may call our Road Assistance Hotline at 459-4727 for assistance phone. However, if you are not yet a MAPFRE motor car comprehensive insurance policyholder, you can call Mr. Noel Deverala at 893-4411 or email him at nmdeverala@insular.com.ph so he can assist you in availing of this special offer from MAPFRE. MAPFRE Insular is a non-life insurance company co-owned by Insular Life and MAPFRE, a global insurance group present in 49 countries across five continents. MAPFRE is a leader in Spanish market, the largest multinational insurer in Latin America and among the top 10 European insurance companies by premium volume. MAPFRE employs more than 37,000 people and has over 27 million customers worldwide. In 2014, MAPFRE posted net earnings in excess of 845 million euros on revenues of 26,367 million euros. MAPFRE Insular today ranks among the top five in the non-life insurance industry in terms of earned premiums, investment income, and net income. Their more popular products, Fire and Motor Car Insurance, may be extended to include Acts of Nature coverage. Their other products are Bond, Engineering, Accident, Marine Cargo and Liability insurance. Their other products are Bond, Engineering, Accident, Marine Cargo and Liability insurance.